- Christian H. Krupke, Ph.D., Entomologist, Purdue Univ. 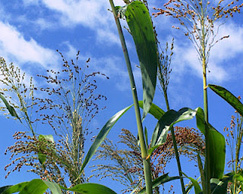 Honey bees fly through Indiana corn tassels accumulating clothianidin-contaminated pollen on their bodies. Clothianidin is a neurotoxin that in miniscule amounts kills honey bees. Image by Peacebeefarm. 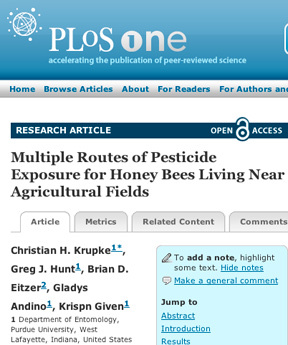 Published January 3, 2012, PLoS One.